So what’s it like to travel as a superyacht stewardess? I had never even heard of some of the places I made it to working on yachts. What attracted me to this industry was the seduction of travel… and I wasn’t disappointed. Photo Credit: Suki Finnerty of YachtingToday.TV. I was hired through a crew agency in Fort Lauderdale, Florida, to fly down and meet my first boat in San Juan, Puerto Rico (and yes, they paid for my flight). I had certainly heard of Puerto Rico, but it’s a place I don’t think I otherwise would have visited. 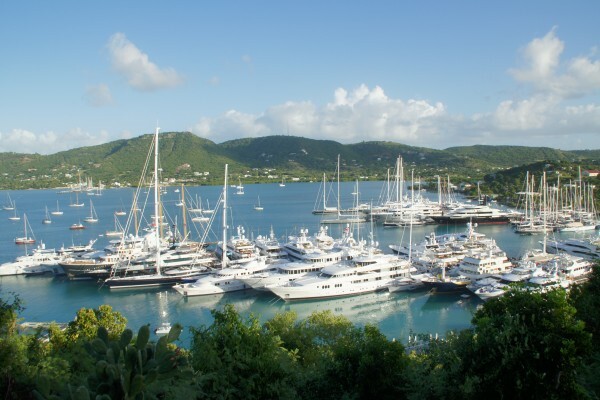 From there, our yacht journeyed all over the Caribbean. I always thought I had a pretty thorough grasp of this part of the world, and sure enough, St. Martin/St. Maarten, Antigua, St. Barths, and the U.S. Virgin Islands were on our itinerary—and were familiar to me. But when our captain announced we were heading to Nevis and then on to Anguilla, Tortola, and Anegada, my reaction was, huh?… where? Caribbean with Nevis, Anguilla, Tortola, and Anegada marked. No less shocking was when we headed back to Miami at the end of the season to prepare for an upcoming trip across the Atlantic Ocean. We would be spending one month hanging out at the Miami Yacht Club, getting the boat ready for our voyage and provisioning for the upcoming season (it’s cheaper and easier to buy dry food and guest necessities in the States than it is in Europe). We’d then head out in early May for our two-week transatlantic journey, making our first pit stop in Bermuda. Okay, I thought, I’ve heard of Bermuda. Next, I was told we’d be stopping in the Portuguese Azores. (Say it again?) My captain showed me this one on the map; I encourage you to go check it out yourself. It’s literally out in the middle of nowhere (far off the coast of Portugal and northwest of the Strait of Gibraltar); and if you do an Atlantic crossing on a yacht, which most crew experience at some point, you’ll go there. 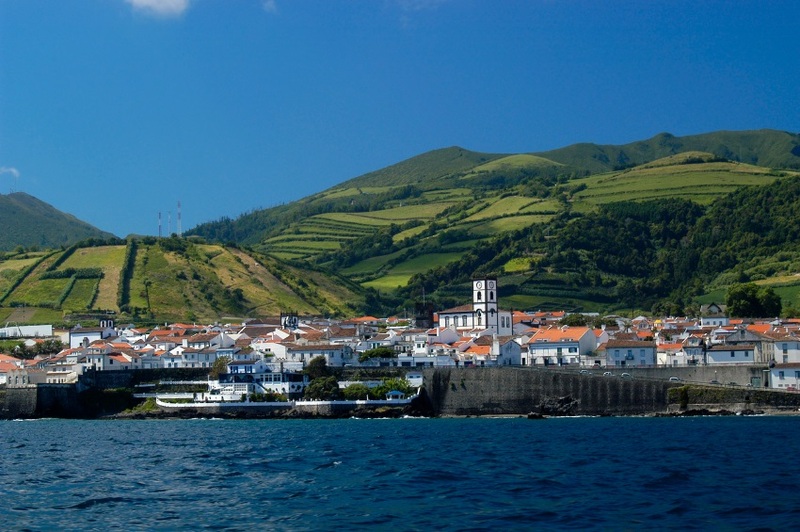 The Portuguese Azores: It truly is a spectacular place: lush and verdant. I would put money on the fact that it’s the sunken Atlantis of lore, re-arisen. It really did seem to rise out of the ocean in the middle of nowhere. Our final fuel stop was going to be Gibraltar (Spain) before arriving at our final destination in the seaside town of Viareggio, Italy (near Pisa and Florence). When I looked at the itinerary for where we’d be headed later in the season, with guests onboard, I drew blanks with nearly every destination: Lindos, Simi, Gocek, Fethiye, Kastellorizon, Limassol, Spetses, Hydra, Kefalonia—all lovely ports in Greece and Turkey, I was told. Not only had I never planned to go to these places, I never knew they existed (little recall from having read Homer’s epics in high school English class). And until we actually got to them, I had no way of knowing they would be slices of paradise: azure waters, white villas, and glamorous beaches—dreamscapes. Lindos, Greece. 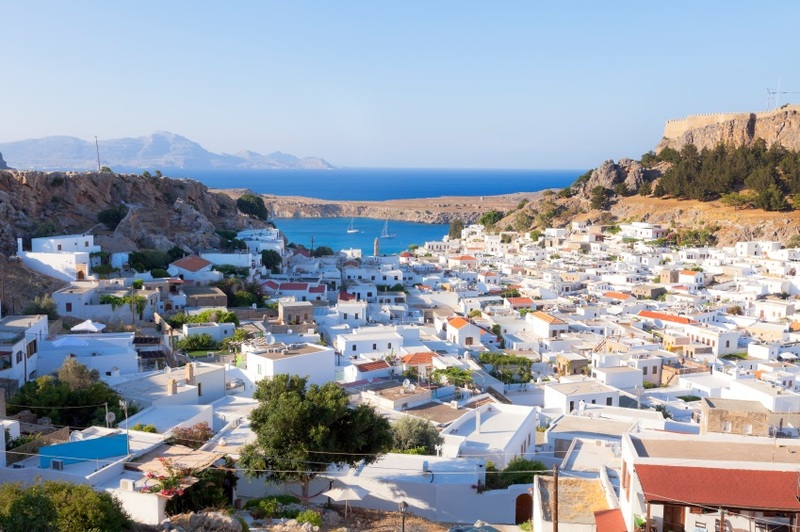 White houses of the village of Lindos, a fortress on the hill and the beautiful bay. Of course, not all of our ports of call were unbeknownst to me. We had a charter later in the season that included the Cannes Film Festival, and another where we were docked in the heart of the port (front row seats!) 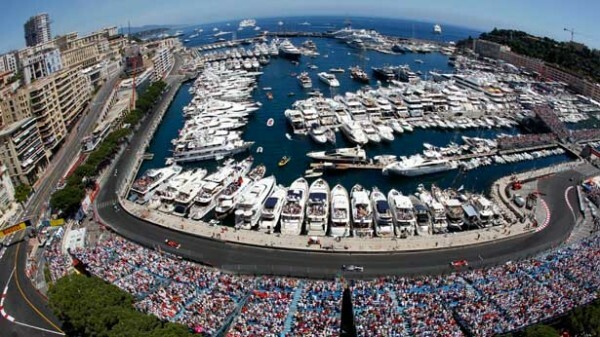 at the Monaco Grand Prix. We later sailed to Dubrovnik, Croatia; Haifa, Israel; and Valletta, Malta. 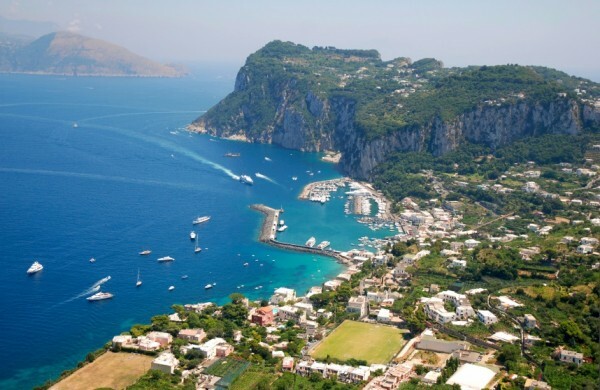 We went all over the coast of Italy (Capri, Portofino, Naples, Positano) and the South of France (St. Tropez, Cannes, Monte Carlo, Nice, Antibes)—so many times, in fact, that some ports began to feel like home. Odysseus, eat your heart out! Megayacht crew on lunch break in Antibes, France near Port Vauban. Read more yacht crew confessions from Julie Perry by picking up a copy of her book, The Insiders’ Guide to Becoming a Yacht Stewardess, 2nd Edition. Don’t want to wait? Start learning more about what it’s really like to live and work “below deck” with a career in the luxury yachting industry by downloading Chapter 1 here.